I nearly crashed at my last track day. I was leaned hard in a turn, slid the bike, scraped a foot peg, sh** my pants and wondered how I didn’t go down. After a few more laps I brought myself in and realized I didn’t need to try so hard – it’s just a track day. The next day at work, I saw a rider cruising down the street nice and easy on his bike. It reminded me of when I first started riding; the joy of just being on a bike was amazing. This was a good reminder to myself that I should be having more fun just riding and not trying so hard to go faster at the track. 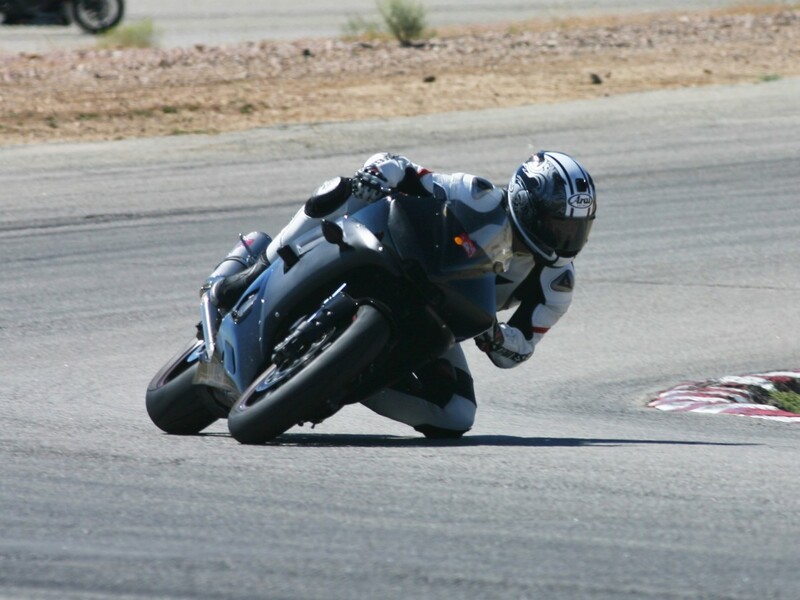 Yes, sportbikes are built for the track and are meant to go fast, but they’re also beautiful and can be enjoyed on a nice safe ride or day at the track. If you’re a beginner just getting into motorcycles and sportbikes, keep it fun and safe. Riding in the canyons and track days aren’t a race, and you don’t need to keep up with faster riders or push yourself beyond your limits. Have fun but make sure you get home safely.